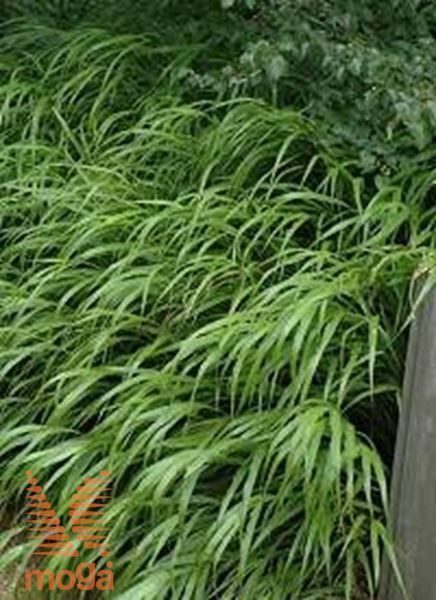 Small, slow growing, clump-forming, bushy deciduous ornamental grass (H 30-40 cm, W up to 50 cm). Leaves narowly lanceolate (up to 25 cm, 1 cm wide), soft, drooping, light green, autumn colour yellow to orange-red, red-brown. Flowers in long, loose, partly hanging panicles, tiny, light green, later yellow, orange to scarlet red, very remarkable. Flowering period: August-September. 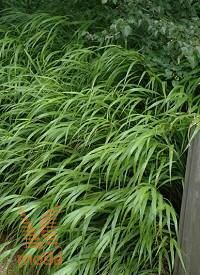 A superb ground-covering ornamental grass, grows well also in shade.